33 Woodwork is an industry leader in custom woodwork. This includes custom cabinets, custom furniture and much more. We take wood from the lumber-yard and turn it into your dream piece. We have over 30 years of experience crafting the most stunning and high end woodwork in NY. You probably think creating a custom kitchen or custom staircase from scratch is expensive right? The opposite is actually true. Most remodeling companies outsource work or buy over-priced pieces from home improvement store. You have to pay double for the raw material and that is before the contractor adds on their profit. On the contrary, building from scratch carries very little overhead and allows you to obtain an nicer kitchen, bathroom, cabinet, staircase or addition at a lower price. 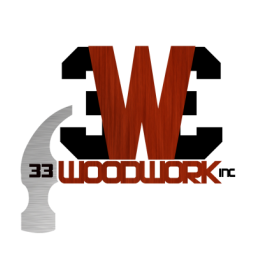 33 Woodwork "Where Quality Work Begins"